Anabolic steroids are most often used in “cycles”, where steroids are taken for a period of time (for example 6–16weeks) known as an “on” cycle, followed by a similar period of steroid-free training known as an “off” cycle. 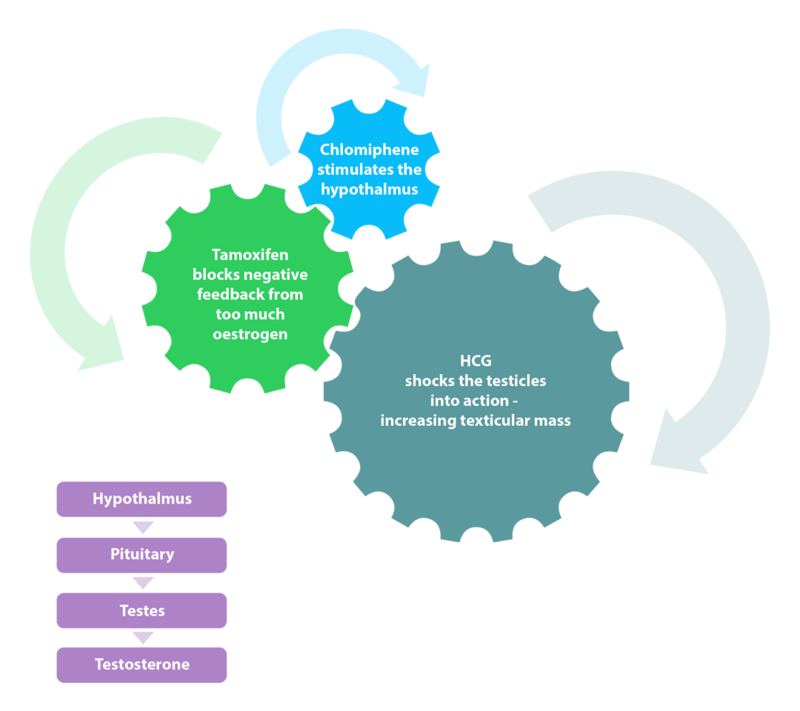 Cycles help prevent developing tolerance to the steroids, reduce the risk of side effects from prolonged use, and allow the hypothalamic-pituitary-gonadal axis [HPTA] (which controls natural testosterone production) time to resume normal function. HOW LONG SHOULD MY CYCLE BE? There is no fixed time period that is “ideal” for a cycle. Everyone responds differently to AAS and it depends what anabolic steroids they are using and what dose they are using each week. The best advice is to keep your cycle as short as possible to achieve your goal. The longer you use AAS for, the more likely you are to experience side-effects and the more likely it is that those side-effects will be serious. Oral steroids should ideally be used for no more than 8 weeks due to the strain they can place on the liver. It is important to remember that some side-effects can take some time to develop and may not have immediately obvious symptoms (ie: Cardiac problems). It is also important to remember that many injectable steroids will still be in your system for some time after your last injection. (See ‘Esters’). WHAT IS "BLAST & CRUISE"? Some people use AAS for much longer periods but vary the dose in cycles. So they may use a high dose for 10-12 weeks (the ‘Blast’) and then a much lower dose for several weeks (the ‘Cruise’), before repeating the higher dose cycle. Typically, people using this approach will repeat this process for several months or more. Even the lower doses used in a typical Blast & Cruise approach are far beyond natural levels. Without taking time off, the body cannot return to a natural state and there is a much greater risk of serious side-effects developing. Specifically, the longer you stay “on” the more likely you are to experience side-effects and the more likely those side-effects will be serious. It is not advisable to maintain AAS use for such an extended period of time. HOW DO I PLAN A CYCLE? There is no evidence around a ‘best’ way to plan a cycle. A cycle can involve the use of both oral and injectable steroids and people use different AAS for different reasons. Different types of AAS can also lead to different side-effects. It is important to do plenty of research around the different types of AAS available before you decide what you think is best for your own goals. You should be aware of how long your chosen AAS will be in your body after taking them (Half-life) as this affects both how often you use them and how long you should wait after your cycle before starting Post-Cycle Therapy. Oral AAS (tablets) are methylated, which means they can place considerable strain on the liver. It is not advisable to use more than one oral AAS at the same time. Do NOT just follow someone else’s cycle advice; what works for them, may not work for you. Keep your cycle simple; use as few IPEDs as possible, especially if it’s your first cycle. If you have a bad reaction to one IPED then it is much harder to deal with if you are using several substances at once. Some AAS cause side-effects (such as gynaecomastia) that require managing whilst on cycle. You should make sure you have all the necessary drugs to hand to combat side-effects before you start your cycle, you may not be able to get them in time if you wait until the side-effects start before attempting to buy them. This means you need to be aware of the potential side-effects for every drug you take before starting your cycle. 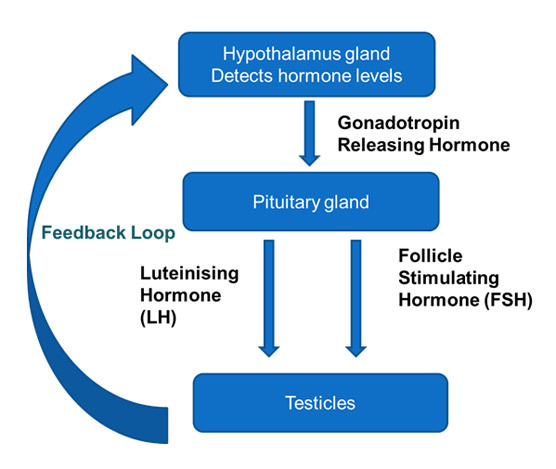 Natural testosterone production relies on a feedback system; when your brain detects that natural testosterone levels fall below a certain point, it signals the testes to produce more testosterone this is called the Hypothalamic Testicular Pituitary Axis (HPTA). Natural testosterone production happens when the hypothalamus gland in the brain detects that testosterone levels in the blood go below a certain point (this point can very between individual people). When it detects this, it sends a hormone called Gonadotropin Releasing Hormone (GnRH) to the pituitary gland (a small gland in the brain). The pituitary then sends two more hormones (called Luteinising Hormone (LH) and Follicle Stimulating Hormone (FSH)) to the testicles to tell them to start producing testosterone. When there is enough testosterone released into the system, the process stops until levels fall again. This process happens all the time during a normal day (assuming you have no medical condition that interferes with or prevents it). When you take AAS, your body detects that your testosterone levels have risen and it switches off natural production while levels remain high. If natural production is switched off for a long time, such as a typical cycle, it can take some time before the body starts to produce it again naturally. In some cases; natural production can be extremely difficult to restore. The longer you are on-cycle, the more likely it is that you will have problems re-starting natural production (this is what IPED users call “shut down”). The HPTA can also be disrupted by other hormones like oestrogen, which can rise naturally in response to higher levels of testosterone caused by injecting anabolic steroids. When testosterone levels are low, you can experience psychological issues (low mood or depression), fatigue, low libido, increased risk of cardiovascular disease, increased body fat and you may lose muscle mass as your body enters a catabolic state. The longer you are in this state, the more muscle mass you will likely lose and the harder it may become to restart natural testosterone production. For these reasons; many IPED users will use a combination of other (non-steroid) drugs such as SERMs and HCG to help restart natural testosterone production as quickly as possible. Again; it is important to know the half-life of the AAS you are using. Your body will not restart natural testosterone production if you still have too much testosterone in your bloodstream. If you are using a slow acting (long ester) steroid, it can be as much as 4 weeks after your last injection before your testosterone levels drop enough to attempt restarting natural production. Typically, people will use any or all of these drugs (Tamoxifen, Clomiphene and hCG) to help restart natural testosterone production. However; if you still have high levels of testosterone from the anabolic steroids then you will not be able to restart natural production. The best and safest, way to judge this is to get blood tests done. Some specialist needle exchange services offer blood testing for IPED users. Ideally, you should get blood tests done before, during and after your cycle. These should be properly evaluated by someone who understands how anabolic steroids work. You can also find services online that will work with local medical agencies to provide confidential testing, however you would usually have to pay for these. All blood work should include at least: liver function test (also called LFT) and hormone levels, including testosterone, oestrogen and cortisol. Ideally you should have a full blood test. Before your cycle – This will give you a baseline for your natural testosterone levels and will therefore help you assess whether you have recovered properly afterwards. It can also reveal whether you have any pre-existing medical conditions that could interact with the IPEDs you are planning to take. During your cycle – All blood test results come with a range of values for each thing tested. This range is the normal values and your results would normally be expected to fall inside the range. However, on cycle, many of your values may be outside of the normal range. This is to be expected and is not necessarily a cause for concern. Very high values (such as very high LFT values) may need medical intervention though, so it is important to discuss results with a knowledgeable medical practitioner. After your cycle (Post cycle) – This will tell you whether or not you still have high testosterone levels and whether your steroid cycle has caused any other issues that may need medical intervention. (NB: Not all possible side-effects can be detected with a blood test). It is not advised to start post-cycle therapy until your testosterone levels drop below your natural level (which you got from your first test). What if my needle exchange doesn’t offer blood tests? If you find your local service doesn’t offer blood testing for IPED users you can ask them if they know any other agencies that do. You may have to travel to find one. You can also find online services that will offer blood testing for a fee. Ideally you should have all three blood tests as above and have them properly assessed. If you cannot do all three, then try to have both pre and post-cycle tests. The most important test is the post-cycle test as it will give you the most information about what state your body is in following your cycle.